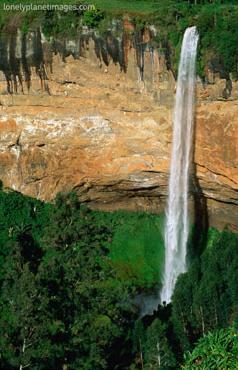 Mount Elgon, the mighty center of this park, is Kenya’s second biggest mountain. The park is one of the smaller resorts, covering 169 square kilometers in the ultimate west of Kenya at the border with Uganda, some 400 kilometers (250 miles) from Nairobi. Despite it’s magnificent beauty the park draws few visitors because of the distance to Nairobi, and because hikers are more interested in claiming they’ve climbed Kenya’s biggest mountain, Mount Kenya. My hint: take advantage of that! 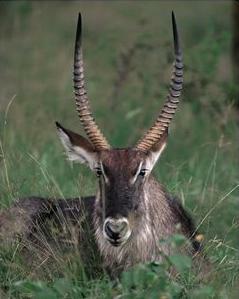 The park’s name means “mountain shaped like human breast” in the Masai language. Mount Elgon National Park is blessed with breathtaking scenery of caves, cliffs, waterfalls, gorges, hot springs, mesas, and mountain peaks. From the Endebess Bluff you’ll have a panoramic view over the park. Animals present include bushbucks, buffaloes, giant forest hogs, olive baboons, waterbucks, monkeys, black and white colobus, and duikers. Furthermore, there are some 240 bird species present, including casqued hornbills, Ross’s turacos and red-fronted parrots which give some good opportunities for bird watching. You can also try your luck to see salt-licking elephants in the caves (see below). The park offers some of the best opportunities for trekking in Kenya. Trekkers are advised to stay within the park, as there have been security problems in the past. Ask the park wardens for the current situation. The mountain peak, 4,155 meters above sea level, can easily be reached by hikers in about two hours starting from the end of the road. Crossing the border with Uganda is not allowed. There are 4 caves which can be explored by visitors. The Kitum cave enters 200 meters into the side of the mountain. The others are Mackingeny, Chepnyalil and Rongai. At night, elephants and buffaloes enter the caves to lick the natural salt on the cave walls. Visitors often try to see the elephants in the caves (see below) around dawn, but few manage to do so. The number of elephants is sadly dropping because of Ugandan poachers. The streams that come off the mountain are full of trout and offer great opportunities for fishing. You’ll need a permit for that ($2). Bird watching is also a possibility (see above). KWS runs three public campsites – Nyati, Rongai and Chorlim campsite. Nyati and Rongai’s surroundings are more scenic but Chorlim clearly has the best facilities. Kapkura Bandas are also a good choice. More upmarket, Mount Elgon Lodge has 28 beds. It offers great views and the meals are good, but it’s still overpriced. You can only enter the park with a vehicle, but walking is the best way to get around as the roads are bad. There’s an airstrip at park headquarters. Entry fees (non-Kenyans) are $20 for adults, $10 for children. There are four entry gates: Chorlim (main gate), Kiptogot, Kassawai en Kimothon.